When you buy a Senior Living property, you own it completely and legally. You can pass it on to your heirs. Flats can also be made available on rent if the property owner decides so. These homes are offered on both freehold and lease basis. The society is equipped with many medical facilities like 24×7 ambulance service, physiotherapy, a round-the-clock nurse and OPD (out-patient department) service, among others. Yet it does not have the feel of a nursing home – something that distinctly separates it from an old age home. Senior Living Societies also have a multi layered security system in place. Vendors and domestic helps need identification proof and badges to enter. Security staff also regularly checks up on each resident once or twice a day in their flats. It takes some effort for seniors to regularly maintain their garden, or change light bulbs or look after the day to day maintenance of their house. Maintenance Services at Senior Living societies take the pressure off by neatly maintaining common areas like gardens, parks, swimming pool, streets, pathways, drains, concierge, lifts, etc. They take care of household refuse disposal; change damaged fixtures and fittings, water and electricity distributions and the general upkeep of the place. Domestic helps are arranged for by the maintenance service. Most facilities have an in-house common dining hall with availability of nutritious meals suitable for elders. There is an option of food delivery within the complex. Other services include bill payment, move-in, resale and rental facilities. The most heartening thing about this senior living society is the deep camaraderie between all its residents. Some of the seniors I met informed me that they look forward to meeting each other and doing activities together. They have learnt to let go of all inhibitions to find enjoyment in carefree singing, dancing, or taking up their favorite sport again. 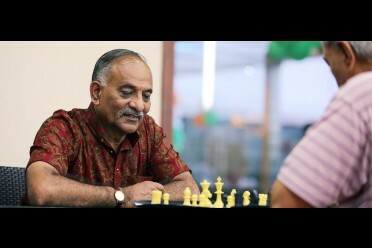 Senior living communities strive to keep elders engaged in games, discussions and celebrations. In India it is assumed that elders are always happy to babysit their grandchildren. Elders need their space and independence too. They feel lonely and neglected. Also, seniors who have lost their spouses often become isolated; which is unhealthy. At the senior living facility I visited, I met two such couples who had found partners here and married once again proving that you do not have to stop living just because you are retired. Older people in India frequently become dependent on their grown up children after retirement and have to make many lifestyle adjustments. Their sons and daughters also have to make compromises on their lifestyle to take care of their parents. Inevitably, this leads to friction and can strain relationships. With elders living independently at Senior Living facility, their children are relieved from the job of “Parenting the Parent”. Older people can live a life of dignity, where they are their own bosses but are at the same time well taken care of by professional staff. This leads to a more meaningful and high-quality relationship between elders and their grown up children. You have to be 55 years of age to live here. However, you can buy it before that and rent it out to other seniors who may not be able to purchase the property. Relatives, children and grandchildren may visit you but are not allowed to stay for more than 60 days in a year. This is done to maintain the sanctity of a senior living home. Unmarried or widowed daughters who are dependent on their old parents can live with them. Your children can inherit the house after you but they cannot live in it until they are 55 themselves. They can resell it or rent it to another senior only. Under the senior living concept, there are two categories—independent living and assisted living. In assisted living or Care Homes one can get 24×7 services. This is meant for those senior citizens who need help in doing day-to-day things. Independent living is for active senior citizens. Ashiana Housing is one of the forerunners in tapping the senior living market with three projects delivered and two more in the process. While the concept is still in its infancy In India, Ashiana has gone full throttle ahead in creating an ideal living space for the elderly. Ashiana has India’s largest chain of senior living projects in India with over 14500 seniors already enjoying their life. Ashiana’s senior living facilities is a place that keeps seniors active, busy, healthy and safe; all at the same time. Here day to day activities are planned for all seniors. All kinds of entertainment are offered ranging from celebrating every small and big festival enthusiastically, playing games and sports, spiritual gatherings, birthday parties and much more. Apart from this, the club house is always open for residents to walk in and enjoy a game of chess or snooker. There is free wi-fi among innumerable other facilities at the club house. Ashiana Senior Living operates at a no-profit no loss model. The maintenance fees collected from residents is minimal. The focus is solely on creating a comfortable and loving environment for the elderly. Ashiana Nirmay is badly managed place, the sales team paints a very beautiful picture of the place but ground reality is exactly the opposite.. they give you a great welcome and that's where the hospitality ends. very unprofessionally run place. bad vendors ! on what basis they are hired I wonder. buying an apartment here was a huge mistake. Thank you for enquiring Ashiana Utsav, Senior Livig in Lavasa, we have 1/2 BHK flats available in the price of Rs. 43 lacs- Rs. 73 lacs.At present we are available with only 22 units for sale, plan a site visit and get more insight about the projcet to take a timely decision. Really it is very good concept for the adults.Inspite of having enough property/money they are extremely unhappy with their family members visa versa.GOD WILL BLESS YOU. suggession: reduce cost of flat for the larger sr.citizens blessing. Thank you for sharing your appreciation here,we are grateful.Further to your suggestions regarding price has been taken,just to shed a light on it here that the price includes flat cost and the amenities to provide such lifestyle and convinience to the seniors, therefore the stay here will give complete value for money. Thank you for howing interest in Ashiana Utsav Senior Living in Lavasa,we have 1/2 BHK apartments available in the price of Rs. 43 lacs - Rs. 73 lacs.Project is ready and more than 100 seniors are residing in the complex. For site visit and other assistance our executive will get in touch with you. I think it's a good idea for we seniors. Thank you for sharing your positive thoughts.You can also plan for a trial stay at the project and experience the life of our residents in real. Thank you for showing interest in Ahsiana Utsav Senior Living in Lavasa , we have 1/2 BHK apartments available in the price of Rs. 43 lacs - Rs. 73 lacs onward. presently more than 100 seniors are already residing in the project.For further assistance regarding the trial home booking or site visit our sales expert will contact you shortly. Thank you for showing interest in Ahsiana Utsav Senior Living in Lavasa , we have 1/2 BHK apartments available in the price of Rs. 43 lacs - Rs. 73 lacs onward. The monthly maintenance charges for apartments is Rs. 3.99 per sq ft.For further assistance regarding the trial home booking or site visit our sales expert will contact you shortly. At what cost,disclose app.cost so as to plan the visit. Thank you for showing interest in Ahsiana Utsav Senior Living in Lavasa , we have 1/2 BHK apartments available in the price of Rs. 43 lacs - Rs. 73 lacs onward. presently more than 100 seniors are already residing in the project , you can stay in a trial homes and experience the lifestyle before buy.For further assistance regarding the trial home booking or site visit our sales expert will contact you shortly. At present we do not have any project in Hyderabad. This arrangement for senior citizens sounds soooo wonderful. Does it really have all the facilities it claims to have in actuality? If so,then what is the price of the flat and what are the maintenance charges per month.? Thank you for showing interest at Ashiana Utsav Senior Living in Lavasa, yes Ashiana Senior Living is equipped with all the amenities which lead an active and enjoyful retired life. We have 1/2 BHK apts available in the price of Rs. 43 lacs- Rs. 73 lacs. We do have trial homes facility available where you can stay and experience the lifestyle before buying. You can also interact with residents and get the actual experience of lifestyle. For further assistance our executive will contact you soon. Thank you for showing interest in Ashiana Senior Living at Lavasa , we have 1/2 BHK apartments available in the price of Rs. 43 lacs - Rs. 73 lacs.Currently more than 100 seniors are residing in the project. You can plan a site visit and see the lifestyle , for site visit you can contact Mr. Mahender- 9503028080. Thank you for appreciating the concept of senior living. Thank you for showing interest in Ashiana Senior Living in Lavasa,we have 1/2 BHK apartments available in sales in the price of Rs. 43 lacs - Rs. 73 lacs. 1BHK is available in 2 sizes 880 sq ft and 915 sq ft. wheareas the size of the available unit of 2 BHK is 1295 sq ft. Presently more than 100 seniors are already residing in the project.We do have trial home also available where you can stay and experience the lifestyle before buying. Thank you for showing interest in Ashiana Senior Living, further to your queries we already have a project in Jaipur where more than 200 seniors are presently residing in the complex. 3 units of 2 BHK available in sales in the price of Rs.36 lacs - Rs. 38 lacs,Mr. Pushpender -9783302208 will assist you further. Thank you for showing interest in Ashiana Senior Living in Lavasa,to reside permanantly the minimum age criteria is 55 years but you can buy the property at any age. For further help our executve will get in touch with you. Thank you for enquiring Ashiana Utsav, Senior Living in Lavasa. We have 1 BHK apartments available in the price of Rs. 43 lacs- 53 lacs. 2 sizes are available in 1 BHK and few units are available in sales. In persent more than 100 families are residing in the project. For further details and site visit our executive will contact you shortly. Thank you for enquiring about Ashiana Senior Living in Lavasa, we have 1/2 BHK apartments available in the price of Rs. 43 lacs - 73 lacs. Since it is a Senior Living project the person with age of 55 and above can only stay parmanently in the project. For further details and site visit our executive will get in touch with you. Need to know the tariffs for both outright purchase and leased property. And which other parts in India do you have projects or is proposed to have? Let me know the taariff. Need to know the tariff of outright purchase or renting a property and your existing and future projects. We are 65,and want to have this kind property near Ahmedabad or between AHMEDABAD &Vadodara.May know the total expenditure one time and monthly if any. We have a project named Ashiana Navrang in Halol, Gujrat. Where 2BHK ranges from Rs 23.98 lacs - Rs29.29 lacs & 3BHK pricing from Rs 31.04 lacs - Rs 33.97 lacs. Our Executive will get back to you on your given number. I am from Goa. I am 60 years old. Do you have any plans to have such a project in Goa or anywhere very near to Goa.? If so would be interested. Interested in a place closer to Bombay. Any such project? Thank you for showing interest in Ahsiana Utsav Lavasa, we have 1/2 BHK available in the price of Rs. 43 lacs - Rs.73 lacs, currently over 100 families are residing within the complex and we have left with 23 units in sale. I am pretty impressed by this concept. I am myself of 61 yrs of age. I see myself as of the residents of such a facility in the very near future. Thank you for showing interest in Ashiana Senior Living, with the age of 61 you are already eligible to reside in the community. At Ashiana Utsav Lavasa we have 24 units left for sale, we have 1/2 BHK apts at the price of Rs.43 lacs- Rs. 73 lacs. We also have trial homes facility where you can stay and see the actual lifestyle before buy.Our executive will get in touch with you and assist you further. Want to know details reg. Basic Cost monthly maintainance etc. Thank you for showing interst in Ahsiana Utsav Lavasa, we have 1/2 BHK flats available in the price range of Rs.43 lacs - Rs. 73 lacs. The project is completed and more than 100 families are already residing in the project and we have only 24 units left in sales.For further assistance our executive will call you shortly. Thank you for admiring the Senior Living concept. Do you have any facility near Hyderabad. At present we have Senior Living projects in Bhiwadi(Delhi NCR), Jaipur, Lavasa(near Pune) and in Chennai. We do not have project in Hyderabad. Thank you for sharing your thoughts, just to add that kids also feel happy when they see their parents enjoying happy and worry free life. Thank you for showing interest in Ashiana Utsav Senior Living in Lavasa.We have 1/2 BHK apartment available in the price of Rs. 43 lacs - Rs. 73 lacs. For further help our executive will get in touch with you. Thank you for showing interest but we do not have project in the asked location, our project Ashiana Utsav is located in Lavasa which is approximate at 60 kms from Pune. Thank you for showing interest in Ashiana Utsav located in Lavasa(near Pune) we have 2 BHK available in the price of Rs.67 lacs to 74 lacs, this is a row flat. You will get a funished flat on rent for further assistance our executive will get in touch with you. Can you mail the plans of available 2bhk apartments at Lavasa and their price. Also what are the current monthly maintenance outgoings. With Lavasa development stopped how does it impact ashiana senior living ? Thank you for showing interest in Ashiana Utsav Lavasa, we have 2 BHK available in the price of Rs.67 lacs to 74 lacs. The monthly maintenance charges are Rs. 3.99 per sq ft of Ashiana and Rs.1.70 per sq ft of Lavasa city. Ashiana have no link with Lavasa development so no impact is there on our project. For available floor layout, site visit and other details, our executive will call you soon. Thank you for showing interest in Ashiana Utsav Senior Living Lavasa, we have 1/2 BHK available on rent starts at Rs. 15000, rent amount varies of furnished, semi furnished or fully furnished flats.For availability and other details our executive will get in touch with you. Could I know the details like total cost. I am single aged 58yrs. Thank you for showing interest in Ashiana Utsav Senior Living Lavasa. We have 1/2 BHK apartments available in the price of Rs.43 lacs - Rs. 73 lacs. We have dining hall facility available where you can enjoy homelike food and home delivery option also available. Currently 100 families are residing in the project in which 15 are single residents.For other assistance our executive will get in touch with you. Thank you for showing interest in Ashiana Utsav Senior Living Lavasa. We have 1/2 BHK apartments available in the price of Rs.43 lacs - Rs. 73 lacs. Currently more than 100 families are residing and enjoying the active lifestyle there, you can book for a trial stay to experience the lifestyle and interact with the residents before buying. For further assistance our executive will get in touch with you. I want details of expenditure for me and wife. Thank you for showing interest in Ahsiana Senior Living in Lavasa, we have 1 and 2 BHK apartments available for sale in the price of Rs. 43 lacs to 73 lacs. In present more than 100 seniors are residing in the project, all the amenities are ready and operational.For other assiatance our executive will get in touch with you. Read the details and would like to know the cost of flat and rent in case required. Total cost of 2 person's. We have 1/2/3 BHK apts. in Ashiana Nirmay Bhiwadi.It is 45 kms from Gurugram.1 BHK cost starts from 33.11 Lacs.The cost would vary on the unit you choose.Rental for a 2 BHK starts from 8000 + maintenance. Our team would get back to you and understand your requirement. Seems to be good. Hence interested. We would get back to you and understand your requirements so that we are able to guide you better. Do let us know if you are seeking any information about our sneior living projects in Bhiwadi ,Jaipur,Lavasa or Chennai. Our sales officer will get bcak to you with all the details. We do not have any project in Mumbai.But we do have it in Lavasa which is around 1 hour from Pune.We have villas and apts. there.100+ families are already residing and enjoying an active lifestyle. We have an option of Trial stay wherein you can live for couple of days and experience the lifestyle.While you are here you can also meet the residents. Our sales officer will get back to you with all the details. Sounds interesting .. would like to know pricing, layout and other details that are not mentioned here. 1 BHK in Ashiana Nirmay Bhiwadi is 33.11 Lac.We do have a option for 2 and 3 BHK as well.Bhiwadi is 45kms from Gurugram. Ashiana Nirmay is our 2nd senior living Bhiwadi.Handing over has started in Phase-01 and seniors have also started moving in.Bookings are open for Phase-02. Our sales officer will contact you to give all the details.Request you to share your postal address so that we can send you across the hard copy of the brochure. 1 BHK in Ashiana Nirmay starts from 33.11 Lac. Our team will mail you all the details alongwith layouts and detailed pricing. Concept is exillent. Need more information. Thank you sir.Our project has 1/2/3 BHK apartment .Phase-01 has already been delieverd and Phase-02 is under construction.Occupancy has started. This project is designed keeping in mind the needs of the seniors like grab rails,age friendly designs,daily planned activities and much more..
Our sales officer will call you and understand your requirements and will guide you further. Do let us know if you need some more information regarding the project. Our team would get back to you with all the details. We do not have independent house in Ashiana Nirmay,Bhiwadi.We have it in Lavasa. Our team will get back and discuss the details. You can either buy a unit with us or take it on rent.One BHK price starts at 33.11 Lac and rental starts at 7000+ maintanenance for a 1 BHK. Our team would get back to you and discuss it. I am an ex-serviceman wanted to settle my retire life, if EMI will be grateful, can you please help in location and price and area by sending me an email. Thank you for sharing interest in our project Ashiana Senior Living,Bhiwadi.1 BHK in this project starts from 33.11 Lac. If you want to take a loan you have to make some earning member a joint holder in the property,since you are retired.The loan sanctioned would depend upon the eligibility. You can also take a unit on the rent.Rent of 1 BHK starts from 7000+ maintenance. Ashiana is into real estate for more than 38 years.We have our presence in Bhiwadi,Jaipur,Sohna,Jodhpur,Chennai,Lavasa and Halol.We are the pioneers in Senior Living and there are more than 1600 residents enjoying an active lifestyle. For more details our sales officer will get in touch with you and share insights about Ashiana. Thank you for your appreciation. We do not have any senior living project in Gujarat.We have one in Lavasa.There we have villas and apartments.Also we have an option of Trial stay wherein you can live and experience the lifestyle. Our sales officer will get in touch with you and give you all the details. Apart from the initial investment., Please inform the monthly charges including all.Also inform the monthly rental value. Thank you for showing interest in Ashiana Utsav Senior Living Lavasa, we have 1/2 BHK apartments available in the price of Rs.43 lacs to 73 lacs. At present more than 100 families are residing in the project.Dining hall facility, activity center with swiming pool, gym, indoor games,library etc. are fully operational.Apartments also available on rent starts at Rs. 15000 per month, for other details please contact Mr. Mahendra-9503028080. Thank you for showing interest in Ashiana Utsav Senior Living Lavasa, we have 1/2 BHK apartments available in the price of Rs.43 lacs to 73 lacs. At present more than 100 families are residing in the project.Dining hall facility, activity center with swiming pool, gym, indoor games,library etc. are fully operational.We have trial homes facility available where you can experience the lifestyle in actual, our executive will contact you soon and assist further. Thank you for showing interest in Ashiana Utsav Senior Living Lavasa, we have 1/2 BHK apartments available in the price of Rs.43 lacs to 73 lacs. At present more than 100 families are residing in the project. Plan a site visit to see the amenities and lifestyle in actual, our executive will contact you soon and assist further. Nicely designed facility for senior citizens, can be extended to more states. Thank you for the appreciation, this motivate us a lot. Thank you for showing interest in Ashiana Senior Living, at present we do not have project in Ranchi. Thank you for the appreciation, we do not have project in Coimbatore Pollachi but we do have project in Chennai, it is located in Maraimalai Nagar. Occupancy started in Phase-1 and construction is in full swing for Phase -2. We have 1/2/3 BHK available at the price of Rs. 26 lacs to Rs. 68 lacs, for further assistance you can contact Mr. Uday-8840787692. Thank you for showing interest in Ashiana Utsav Senior Living Lavasa, we have 1 & 2 BHK apts available at Rs.43 lacs - Rs. 73 lacs. Currently more than 100 families are residing in the complex, dining hall, activity center, gym, swimimng pool, hobby room, AV room, indoor games etc. are fully operational.For site visit our executive will contact you soon. Pl.what is the minimum requirement for hassle free living for 65 year old active member. Thank you for enquiring, person with age of 55 years and above can stay parmanently in Ashiana Senior Living. You can buy and move in, further our executive will contact you and assist for the site visit and other details. Good idea. Are any such properties available in or around Mumbai? Thank you for showing interest in Ashiana Utsav Lavasa near Pune, we have 1/2 BHK available in the price of Rs.43 lacs- Rs. 73 lacs. Presently 100 families are residing and enjoying the lifestyle, plan a site visit to see the amenities. I am very much delighted to learn the facilities provided to Senior Citizens. Children because of their pre-occupation, are unable to provide required attention to their parents. It is the need of the hour, to have an exclusive residential society, which is safe and secure for the older people. Please provide me the details regarding upcoming project in South India,ie., Coimbatore, Chennai. Thank you for showing interest in Ashiana Senior Lviing, in present we have Senior Living project Ashiana Shubham in Chennai. We have 1/2/3 BHk apts. available in phase-2 at price of Rs. 26 lacs - Rs.68 lacs. Phase -1 is completed and handed over, few 3 BHK ready to move in units available in that. For site visit and other assistance please contact Ms. Harini-8754787831. Thank you for showing interest in Ashiana Utsav Lavasa, we have 1/2 BHK apts. available on sale and rent as well. You can also opt for trial stay and experience the lifestyle. For Trial home booking please contact Mr. Mahendra-9503028080. Thank you for showing interest in Ashiana Utsav Lavasa, we have 1/2 BHK available in the price of Rs.43 lacs- Rs. 73 lacs. Presently 100 families are residing and enjoying the lifestyle, plan a site visit to see the amenities. I would like to see the flat and it's surrounding. Thank you for showing interest in Ashiana Utsav Lavasa, you are most welcome for the site visit. Our executive will surely contact you and plan a site visit for you. Thank you for showing interest in Ashiana Senior Living in Lavasa, we have 1/2 BHK apts. available in the range of Rs.43 lacs- Rs.73 lacs. Presently more than 100 families are residing in the complex, all the facilities are operational. You can visit the site and even go for a trial stay and experience the life, for booking of trial apts and other help our executive will contact you soon. Hi i am 59 and would like to know more about your project. Thank you for showing interest in Ashiana Senior Lviing, presently we do not have project in Pune.We have our running project is in Lavasa approximate 65 kms from Pune. Thank you for showing interest in Ashiana Senior Lviing , as of now we do not have any project in Nagpur. Want to know the cost details of indivisual living, if it is on ownership basis the cost of the block. Also elaborate the spiritual activities held & conducted. Thank your for showing interest in Ashiana Utsav Senior Living Lavasa (near Pune). We have 1/2 BHK available in the price of Rs. 43 lacs to 73 lacs,on spritual side we have saperate meditation hall also our activity manager have weekly schedule for spritual practices.Currently project is occupied and all facilities are operational. I would like to know more details about project like location, Layout, Cost, monthly outgo etc. I am currently 63 yrs but healthy. Where can I visit your project to see the sample flat. Thank your for showing interest in Ashiana Utsav Senior Living Lavasa (near Pune). We have 1/2 BHK available in the price of Rs. 43 lacs to 73 lacs,currently project is occupied and all facilities are operational. For site visit and other assistance our executive will contact you soon. The write up is very interesting and photographs are more that prompts to inquire about the project . The rent,outright purchase price, etc I would like to know. We both are 64. Thank your for showing interest in Ashiana Utsav Senior Living Lavasa (near Pune). We have 1/2 BHK available in the price of Rs. 43 lacs to 73 lacs. For semi furnished 1BHK the rent starts at Rs. 15000 per month,currently project is occupied and all facilities are operational. Thank you for showing interest in Ashiana Utsav Senior Living in Lavasa, we have 1/2 BHK apts. available on rent starts at Rs. 15000 onward. For other details please contact Mr. Vivek-7665001411. I am 62 years old retired from Iffco DGM (Inst.) Person. Interested to know about the ready available houses 3 bhk, Reddy to move with their prices and house plans. Thank you for showing interest in Ashiana Utsav Senior Living Lavasa, we have 1/2 BHK apartments at Rs.43 lacs-73 lacs. We have left with few units of 2 BHK for sale, presently more than 100 seniors are residing in the complex.For site visit and other assistance please call-7447407021. Our sales personnel will contact you soon and assist you further. Where are these homes available? Thank you for showing interest, Ashiana Utsav Senior Living is located in Lavasa(near Pune) , we have 1 & 2 BHK apts. available in the price range of Rs. 43 lacs - Rs. 73 lacs. Currently more than 100 seniors are residing within the complex. For further assistance our executive will get in touch with you. Want to know precise location , cost structure , floor design etc . Thank you for showing interest in Ashiana Utsav located in Lavasa(near Pune) , we have 1 & 2 BHK apts. in the price range of Rs. 43 lacs - Rs. 73 lacs. Currently more than 100 seniors are residing within the complex.We have free site visit facility available from Pune,for further assistance our executive will get in touch with you. Request you to send the details includes of all facilities, technical and commercial . We both are crossed 60. Thank you for showing interest, our executive will contact you to help you with project details. Thank you for showing interest in Ashiana Utsav Lavasa, we have 1 & 2 BHk available in the price range of Rs.43 lacs - 73 lacs, some units of 2 BHK left for sale. for site visit and other help our executive will get in touch with you. Thank you for showing interest in Ahsiana Sr. Living in Lavasa, presently we have left some units 1 & 2 BHK apts available in the price range of Rs.43 lacs - 73 lacs. For site visit and other assistance our executive will get in touch with you. Seems good. I am senior citizen aged 62 years with my wife 58 years. What is price of two bedroom suit. Thank you for showing interest in Ashiana Utsav Lavasa , we have 1 & 2 BHK apts. in the price range of Rs. 43 lacs - Rs. 73 lacs. Currently more than 100 seniors are residing within the complex.For further assistance our executive will get in touch with you. Nice concept. Any plans for such a project in Goa in the vicinity of a beach? Thank you for showing interest, at present we have Senior Living projects in Bhiwadi(Delhi NCR), Jaipur, Lavasa and Chennai. I like the concept any plans near Mumbai,goa or any other place with moderate climate? Thank you for showing interest, presently we have project in Lavasa which is located appx. 220 kms from Mumbai. We have 1 & 2 BHK apts available in the price of Rs. 43 lacs- 73 lacs, presently more than 100 seniors are residing in the project. Thank you for enquiring, 1 & 2 BHk apts. available in the price range of Rs. 43 lacs - 73 lacs at Ashiana Utsav Lavasa. For site visit and other detailed assistance, our executive will contact you soon. (near Pune), we have 1 & 2 BHK apts available in the price of Rs.43 lacs- 73 lacs. Thank you for showing interest, Mr. Mahender will provide you all the required details soon. Such projects are the need of the hour in India,are such projects available in and around Kolkata. Thank you for showing interest, in present we do not have project in above mentioned location. Any such arrangement in or nearby Varanasi?. Thank you for showing interest ,presently we do not have project in asked location. Thank you for showing interest in Ashiana Utsav, Sr. Living in Lavasa.We have 1/2 BHK apts. available in the price range of Rs.43 lacs - Rs. 73 lacs. We also have facility of escorted site visit from Pune, plan your site visit, our executive will contact you and assist further. Thank you for enquiring, we do not have project in above asked location. Do you have any such project in or around Chandigarh. Thank you for showing interest, in present we do not have any project in Chandigarh. Thank you for appreciation, in present we have project in Lavasa which is located at around 60 KM from Pune. 1/2 BHK apts available @ Rs. 43 lacs- 73 lacs. For site visit and other assistance our executive will get in touch with you. Thank you for showing interest in Ahsiana Sr. Living, we do not have project in above asked locations. Thank you for appreciation, presently we do not have project in Nagpur. Thank you for the appreciation , further to your query,presently we do no have projects in the above mentioned locations. We will update you if any project will be planned for your asked location in future. Could you please let me know of any projects in and around Mumbai? Thank you for showing interest in Ashiana Senior Living, presently we have project in Lavasa,which is located arround 220 km from Mumbai. Mr. Somdev will assist you further about project and arrange a site visit for you.Sharing his contact number -7447407021. Presently we do not have any project in Pune, we will inform you if in future we will come up with some project there. Thank you for showing interest in Ashiana Utsav Lavasa. Our executive will contact you and assist further. 1. Are you coming up with such a facility in or around mumbai ? 2. Are you willing to set up a facility for PWD ? Let's me know if you are interested, I ha e plenty of parents looking for one. Thank you for enquiring, presently we do not have Senior Living project in Mumbai but we have project in Lavasa which is located arround 60 Km from Pune. For any other assistance our executive will get in touch with you . Thank you for showing interest in Ashiana Senior Living, we have 2 & 3 BHK available in Ashiana Nirmay Ph-1,located in Bhiwadi (Delhi NCR). The price range for the available units is Rs.44 lacs- 67 lacs. The expected possession of Ashiana Nirmay Ph -1 will start soon. For site visit and other assistance our executive will get in touch with you. FAMILY HOUSE WITH YOU HW GOOD HOW BEUTIFUL TO TAKE YOUR CARE? The message is not clear in the above text, please write further so that we can better assist you if any quary about Senior Living. Please furnish me with more details. I am interested in knowing more about Ashiana, as we husband & wife are also senior citizens. Thank you for showing interest, Ashiana Nirmay is our current Senior Living project located in Bhiwadi(Delhi NCR). Ph-1 is near completion and expected possession will be starting soon,we have few units left for 2 BHK in the price of Rs.44 lacs- Rs. 54 lacs.For site visit and other assistance our executive will contact you soon. 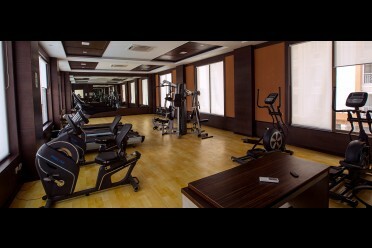 Am interested in living at Ashiana am 67 and fit. Thank you for showing interest, Ashiana Nirmay our senior living project is located in Bhiwadi(Delhi NCR). Our executive will contact you soon and arrange a site visit to explain more about the project and the concept. Good concept, how ever do you have any plans to accommodate mentally handicapped unmarried individuals. Thank you for admiring the concept, we do not have such facility but we do have assisted living facility in our Sr. Living projects where arrangements are available to provide special care to the seniors suffering from progressive and cronic illness. We do not have any project in Nagpur in present. No such plan as of now, if anything in future will come to the asked location we will inform you. Require 2bhk apartment . Pls advs cost. Thank you for enquiring , we have left only 10 units of 2 BHK in phase-1 at Ashiana Nirmay Senior Living in Bhiwadi (Delhi NCR) where 95 % construction has been completed.The price of 2 BHK starts @ Rs. 43.42 lacs. For site visit or other assistance kindly contact-8800610868. Thank you for enquiring, for availibility and rental information kindly contact Mr. Rajesh- 7665543200. We have Care homes facility available in Bhiwadi where professionaly trained care giver staff is available to provide 24/7 personalise care to the residents. The option of single and double occupancy accomodation is available, for further assistance Mr. Rajesh singh will contact you soon. Yes , I am interested in buying a independent unit for myself . I am 59 years old and retired . Thank you for showing interest, our executive will contact you soon for further assistance. I am 50years old I want to purchase a flat in senior citizen scheme for my future life after my retirement.so mail me your scheme catlog. Thank you for showing interest, we have our senior living project near Gurgaon Ashiana Nirmay. The units are specialy designed for seniors along with the activity centre, sports facilities,hobby rooms, indoor games etc. for site visit please contact Mr. Ankit-8800610868. Thank you for showing interest,Ashiana Nirmay senior living is located in Bhiwadi 45 kms from Gurugram.We have options of 2/3 bhk aprtments there which are specialy designed for Seniors along with activity centre, swimming pool, outdoor sports and concierge services which lead an active and hassle free lifestyle.For further about the project along with the current photogrpahs our executive will contact you soon. Senior CITIZENSARE VERY CRUCIAL PART OF OUR LIVES.I m truly delighted seeing the party pictures and games of aunties and uncles.This idea is very productive and stress free.Also it killls loneliness in their lives. Thank you for the appreciation, presently we have our Senior Living project located at Kalwar Road Jaipur where more than 200 families are already residing. We have a trial home facility also available where you can stay for a day and experience the lifestyle before buy. For Trial Home booking please contact Mr. Pushpender-9783302208. Thank you for showing interest, Ashiana Senior Living is located in Bhiwadi which is arround 45 kms from Gurgaon. If you want to visit the site we will organise a free site visit for you from Delhi/NCR which will be helpful to give you a better idea about the project. Thank you for showing interest, our executive will contact you soon and assist you further. One badrooms are sold out in Ashiana Nirmay Bhiwadi,2 badrooms start at Rs. 46 lacs for further assistance our executive will call you further. Thank you for showing interest, we do not have Senior living project in Gurugram we have project in Bhiwadi which is located just 45 kms from Gurugram. If you want to plan a visit please contact Ms. Shikha-7042833011. Apparently looks nice. Pl send details of accommodations, facilities, cost, how many senior citizen families living. Thank you for showing interest, we will mail you all the required details also our executive will contact you soon and assist you further for a site visit. I would be interested in buying a facility pls let me have details. Thank you for showing interest, our sales personnel will contact you soon to assist you about the project and facilities. Thank you for enquiring, Mr. Rajesh -7665543200 will assist you about the unit availibility and other details for rental. Thank you for showing interest, our executive will call you soon and assist you further. Thank you for enquiring,we have option of 1 BHK flats also in Ashiana Nirmay Senior Living in Bhiwadi. Mr. Ankit-8800610868 will further get in touch with availibility and other details. We have Ashiana Nirmay Senior Living project in Bhiwadi which is arround 65 kms from Dhaula kuan. For other assistance about project and site visit Mr. Ankit will contact you soon. I am interested in purchasing a flat in Ashiana Senior Living Apartment. Thank you for showing interest, our sales personnel will contact you to assist you further about the project. Thank you for enquiring, to understand your query further our sales personnel will get in touch with you. Thank you for enquiring,we have 2/3 bhk flats available in Bhiwadi, located arround 45 kms from Gurgaon. Plan a site visit to get the idea about the project and the units.For site visit and other assistance our sales personnel will contact you. Whether you have any such society in GURGAON proper. whaet would be the rent for two bedroom flat? do you have such facilities in hyderabad, chennai and bangalore? Thank you for your query. We do have a senior living project in Chennai, called Ashiana Shubham. Ashiana Shubham is under construction right now that's why flats are only available on sale basis. 2/3 BHK flats are available at Ashiana Shubham with the price ranging from Rs 45 lakhs - Rs 64 lakhs. If interested, kindly share your contact details with us or get in touch with us our Assistant Manager (sales) at 9884488113. I would like to have a flat in or near Hill station in south India. If you have any please contact. Thank you for your query but we don't have any project near hill station in South India. We have a senior living, Ashiana Shubham in Chennai. If interested, do let us know here and we will contact you back or you can get in touch with our Assistant Manager (Sales), Udhay Pratap - 9884488113 for Ashiana Shubham, Chennai. We have another senior living project in Lavasa, Maharashtra called Ashiana Utsav. Lavasa is India's first planned hill city. If interested, do let us know here and we will contact you back or you can get in touch with our Assistant Manager (Sales), Mahendra Verma - 9587863899 for Ashiana Utsav, Lavasa. Thank you, Mr. Sunil for sharing your interest with us. We will get in touch with you at the earliest. It is a good start.pl let me know what are the places you are making ashiana and about rates also. Thank you for your query. We have got senior living projects in Bhiwadi, Lavasa and Chennai. 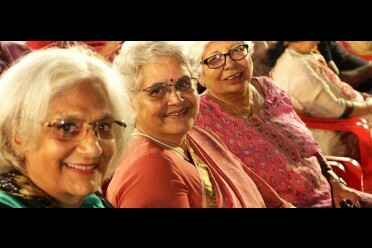 The senior living project in Lavasa is Ashiana Utsav. It is located at Portofino street 11 Dasve Circle Dasve village, Lavasa, Maharashtra 412112. The price for 1bhk flats are: Rs 42.78 lakhs - Rs 52.3 Lakhs and for 2bhk flats are: 61.75 Lakhs - Rs 71.51 Lakhs. The senior living project in Chennai is Ashiana Shubham. The price ranges from Rs 45.36 lakhs - Rs 64 lakhs for 1, 2 and 3bhk flats. I heard a lot about ashiana but could not be a part of it. I am fifty nine plus and retiring from government service on 31.10.2017. Could you kindly email me the cost of freehold 2-3 BHK flat in Bhiwadi. My email ID is "j.bsingh@hotmail.com"
Thank you for sharing your interest and query with us. We will surely share the details with you on the above-mentioned mail ID. have you got or planning at Hyderabad and Vishakapatnam ?. Thank you for your query but we don't have any plans for any project in Hyderabad and Vishakhapatnam. Thank you for sharing your interest with us. We will get in touch with you soon to assist you with it. Thank you for the appreciation sir. Are you interested in knowing more about our senior living projects? Our team can will get in touch with you to share more details regarding it if you are interested. - Gulmohar Gardens, near Choki Dhani. - Vrinda gardens, in Jagatpura. - Ashiana Umang near Mahindra SEZ. Thank you for showing interest. We don't have any project in UP. We have senior living project in Jaipur and Bhiwadi. If you are interested for more details, pls call us. Please se d me all the details along with construction plan and payment plan . We will have a look and make a decision . Please send it on email. Regards Captain Shailender . Thank you for your query Captain Shailender. We will share the required details with you on email soon. I am govt retired person. I want to flat in your societies. Wow, good,very good concept design. In real meaning "sewa for our parents"
Thank you so much Mr. Das for the appreciation. I liked this move, its a felt need which is being fulfilled by Ashiana. Thanks. Thank you Mr. Verma :) Would you like any other information from our side? I am 71, my wife 65 years, before we go for purchase, will appreciate if reasonably rented flat is available. Thanks. Thank you for your query. We have an option of trial stay for Ashiana Nirmay (our senior Living project in Bhiwadi) so that you can get a look and feel of the project and also get an opportunity to communicate with the existing residents. A good Effort by Ashiana Housing. Do inform about your project in Uttarakhand if any. Thank you sor sharing your query with us but sorry, we don't have any project in Uttarakhand. It is a good effort by Ashiana Group. Will like to visit personally. Can you please clarify what would you like to know? We will appreciate the effort. Good concept,What will be approximate charges for taking care for persons who need help in their daily needs. Thank you for your query. Please clarify which kind of daily needs do you need help with so that we can assist you accordingly. 2 rooms set for self...71 years old i am. interested to know the details for taking a decision. Noble thought. Wish to know complete details of the project. Does Ashiana has any scheme in NOIDA/Greater NOIDA? Thank you for your query but we don't have any project in Noida or Greater Noida. I would like to establish academy of Table Tennis game for those for recreation. Thanks you for the interest shown. We request you to give us little more brief on what you like to do and what are you expecting from us.